For many people, getting a colonoscopy is like paying taxes—they put it off for as long as they can. I didn’t wait to make my appointment when I turned 50, the age that the U.S. Preventive Services Task Force recommends getting a colonoscopy. My grandmother died of colon cancer and I have friends who were diagnosed. So knowing that I’m polyp free provides peace of mind. Lopez knows from personal experience. She has a family history of colon cancer. She got a colonoscopy last year at the age of 37 after noticing blood in her stool. The procedure found precancerous polyps that were later removed. 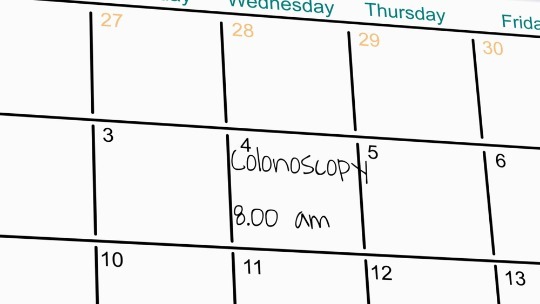 Preparing for a colonoscopy is one reason why many people delay the procedure. You need to fast and drink a gallon of prescribed laxative 24 hours in advance to clean out your colon. “People describe the taste as salty sewer water,” says Lopez. Refrigerate the laxative. It tastes better cold. Keep the gallon container away from you. You’ll feel less overwhelmed by its size. 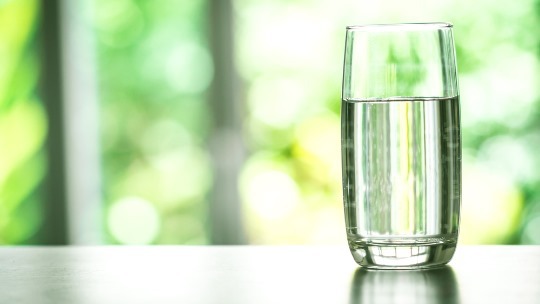 Just think about drinking one glass at a time. Follow the laxative with a “chaser” like lemonade, apple juice, or white cranberry juice to get rid of any aftertaste. Drink it with a straw so the liquid can bypass your taste buds. On the week of your colonoscopy, avoid eating nuts, seeds, berries or foods that contain them that can stay in your colon during the procedure. If you have questions or have difficulty drinking the laxative, talk to your doctor or nurse before your appointment. Make arrangements to stay at home when taking the laxative and be prepared to make multiple trips to the bathroom. Prepping for a colonoscopy may seem like a pain in the “you know where.” But it’s worth the inconvenience if it means saving your life. The overall rate of colon cancer in the U.S. has decreased, partly due to increased awareness of the importance of colonoscopies. However, the number of people under age 50 diagnosed with colon cancer has increased. Weight loss for no explained reason. Also, you can reduce your risk of colon cancer by maintaining a healthy weight through exercise and a healthy diet.